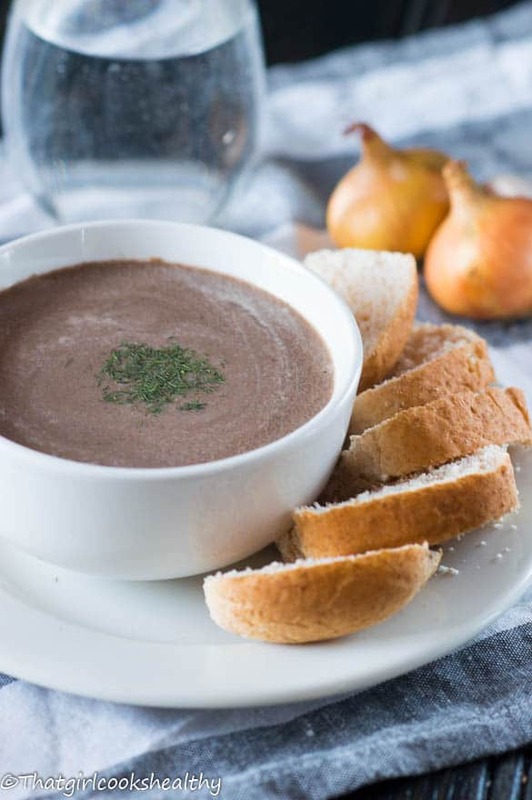 Creamy mushroom soup (vegan) – replenish your vitamin D levels during the cold snap with this simple mushroom soups that’s free from dairy. 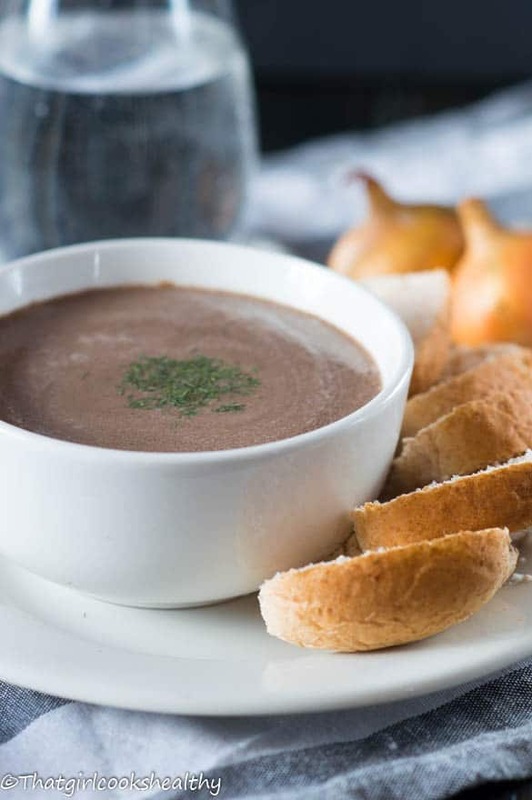 I’m not a huge fan of mushrooms but there’s something about creamy mushroom soup that seems to captivate me each and everytime. Growing up in a Caribbean household mushrooms weren’t something we embraced at all. I do remember having brief discussions about mushrooms with my grandmother to which I recall her referring to it as “Junju”. I have never seen the spelling for this colloquial term before but that is how I would spell it based on the pronunciation of the word. While the name junju was a local dialect for mushrooms, this wasn’t something to brag about. There was a stigma attached to anything that was associated with fungus. In short, there was simply a cultural misunderstanding of what mushrooms are and their health properties. However trying to convey this to someone who grow up perceiving this as a negative food source was very difficult. Being a Caribbean food blogger with such enthusiasm towards cooking all things healthy with an element of diversity, I literally took the opportunity to explore mushrooms in-spite of it’s negative cultural connotation. Mushrooms are a great source of vitamin D something that is procured in large doses from sunlight. Vitamin D is fortified by the skin, it goes through several chemical changes before turned into a hormone. We need vitamin D to help keep bones strong and healthy, not only for the skeletal system but also to absorb other minerals such as phosphorus and calcium these minerals play a crucial role in bone development. While the best source of vitamin D is derived from a moderate source of sunlight, living in colder climates or countries where seasonal changes result in cold weather can present as a problem to obtain a healthy dose of vitamin D.
Taking supplements such as cod liver oil or vitamin D3 are great alternatives, but if you’re like me, you’ll probably be curious to know what the best source of vitamin D is available in the form of food. Well…….drum roll………introducing mushrooms. Mushrooms are by far one of the best ways to eat your way to good bone health throughout the winter. Black/Asian people are more likely to suffer from low levels of vitamin D during the wintertime, so this is crucial to ensure levels stay constant during the cold snap. A deficiency in vitamin D may lead to weakening of the bones i.e osteoporosis, brittle bones. 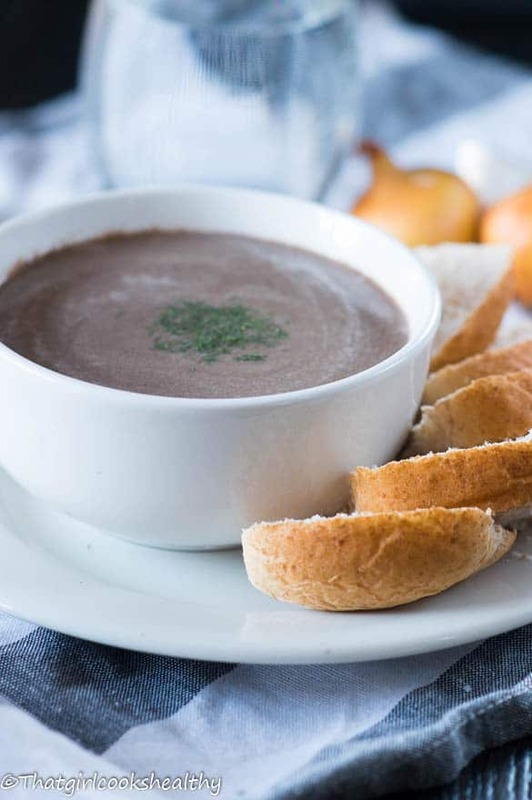 While you might not go crazy for creamy mushroom soup, the health properties should be convincing enough to try it at least once. The coconut milk gives a lovely creamy almost velvet type texture that’s so heavenly. Melt the coconut oil over medium heat in a saucepan and sautee the garlic and onions until transparent. Incorporate the mushrooms with the garlic and onions, stir gently and cook the mushrooms for 1-2 minutes. The mushrooms will begin to shrink as they start to cook during the given time. Season with thyme, black pepper and pink salt to taste. Pour in the vegetable stock and stir the entire contents, then finally pour in the coconut milk. Bring the soup mixture to the boil then reduce and simmer for 5 minutes. Puree the soup (in batches if necessary) in a blender until smooth. Return the ready made soup to the pot if additional warmth is required. Serve accordingly with optional gluten free bread or alone. Great recipe idea Charlene. 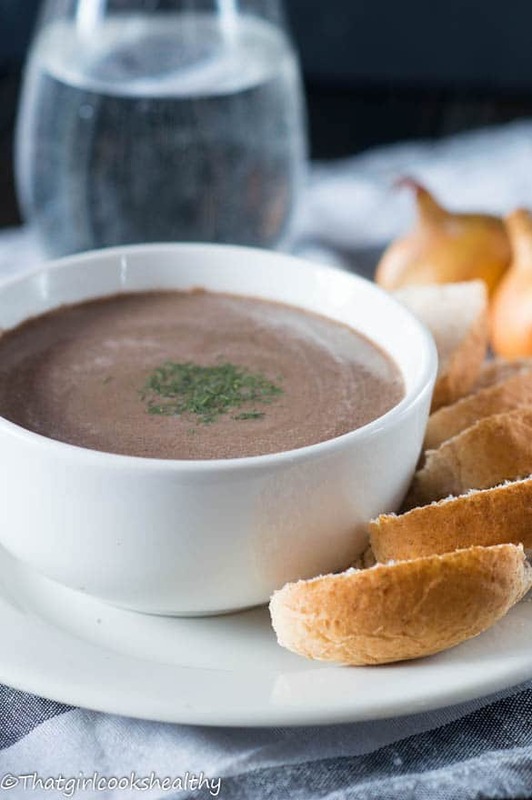 I hear you with the aversion to fungi but, thankfully, we embraced mushrooms at home and I have a love of mushroom soup. Never tried to mix mushrooms with coconut milk so looking forward to trying this one out. 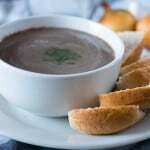 I wish I could convince my family to drink some mushroom soup, they won’t even try it despite the health benefits. 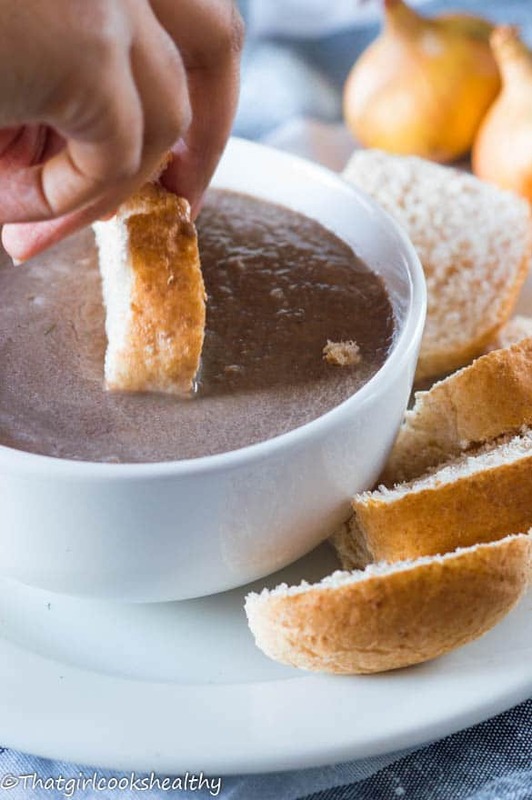 I hope you like my creamy mushroom soup. Definitely, I hope you manage to give my recipe a try. Sane here – I have this so so relationship with mushrooms. But I know I love tem when made into smooth creamy soup. Glad I’m not the only one who is conflicted by mushrooms. I made this recipe it tasted very nice. Very quick and easy to make. Thank you so much for your feedback Sharon. I’m happy to have helped to restore your vitamin D levels, I will look into creating some more mushroom recipes as they are a great source of vitamin D.